ACE Pyro, LLC, was founded in 1998 by Aaron Enzer as a natural progression in Aaron's dedication and commitment to the fireworks community. Successfully blending Aaron's computer and technology experience with his love of fireworks, ACE Pyro has been able to develop our Real-Time Inventory System. We are proud to offer our customers a guarantee that they will always get exactly what they ordered. Gone are the days of last minute substitutions. A long-time member (since 1996) of the Pyrotechnics Guild International (PGI), Aaron is a certified instructor of the PGI "Display Fireworks Operator Certification Course." 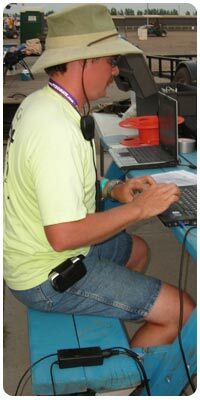 Aaron has held the position of Communications Chair starting in 2001 and later was elected as the President of the PGI. In 1998 Aaron joined other Michigan fireworks enthusiasts to form the Michigan Pyrotechnics Arts Guild (MPAG). Aaron was elected the first MPAG President and held that office for 10 years. With its headquarters located in southern Michigan, ACE Pyro is proud to provide many cities, townships, and private organizations with high-quality fireworks displays. With experienced, certified/licensed operators able to do displays in Illinois, Indiana, Michigan, New Jersey, New York, Pennsylvania, West Virginia & Wisconsin, we can dazzle you with a small display or wow you with a computer-fired, choreographed pyro-musical. We pride ourselves in making every fireworks display memorable.